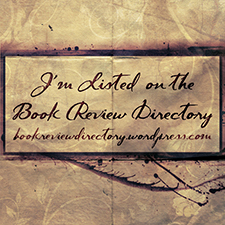 Book Review: Pteromantyls – Are they Nars or are they Whals? 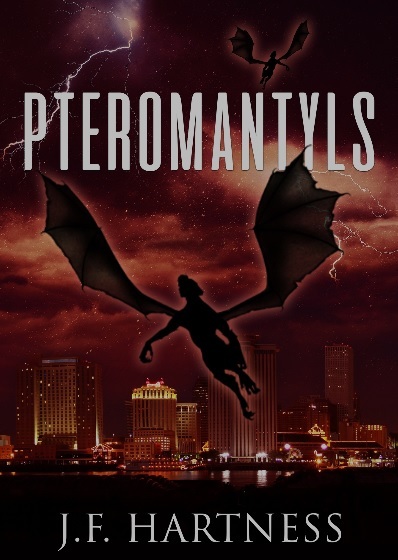 From Amazon: If you think Gargoyles are spooky, then you will get a spine tingling chill with Pteromantyls. 3 budding anthropologists discover intelligent creatures in the South American jungle that are 1/2 man, 1/2 pterodactyl. When one betrays the creatures trust due to greed, they wage war on humans and fly to New Orleans seeking revenge. “What?” the captain said, with disbelief. He went to the front door and looked through the glass at the parking lot. “Don’t go out there!” Marie shouted. “There’s nothing out there,” he said. The pteromantyl that chased Darren’s car dropped from the sky and landed before the Captain. Marie and the others screamed. The captain was quick to turn a dead bolt on the door and lock it, then he ran with the others down a hall as the pteromantyl busted through the door. “We need to get into a cell,” Marie said. “May, come on!” the captain called. May came through a door and greeted them and they ran into an empty cell and locked its door. The pteromantyl was heard ransacking the place and then it appeared. It growled as it approached and then it screeched as it reached the cell. Karen and May screamed and everyone huddled close and hoped the bars between them and the pteromantyl would hold against the hideous creature. The pteromantyl reached through the bars swiping its arms wildly. It grabbed the bars and began pulling them apart, but only a couple of inches and not enough to get in. “You will die humans,” the pteromantyl said, in a confident, gravelly voice. Captain Harris drew his gun and fired at the pteromantyl, wounding it and it ran away. The captain went to the bent bars and inspected them with disbelief. This was actually painful to read, at times, because the author was clearly versed in the English language but completely inept at weaving a decent narrative. The scene changes where choppy and happened mid-action (much like soap operas are filmed), and the descriptive language was entirely two-dimensional. All characters were identified by their race first, followed by their age, except in one case where the person was referred to as “Australian”. I’m not sure if this was meant to denote that the character is of aboriginal decent or if J. F. Hartness thinks that all Australians look the same. There were also persistent spelling errors, such as referring to the Orinoco River as the “Orinco” and spelling AIDS as “Aides”. Coupled with this was the persistent use of redundant phrases, which are becoming more and more common in quickie literature. A frequent offender is “reversed back”. I shouldn’t have to explain this. YOU CANNOT “REVERSE FORWARD” OR “REVERSE SIDEWAYS” OR ANY OTHER WAY OTHER THAN BACKWARDS. “REVERSE” MEANS “TO MOVE BACKWARDS”. You can reverse at an angle, but you will still be moving backwards. Side note: I have the same issue with people who say and write “revert back” and “utmost best”. The author had just established that the pteromantyls speak English and not 15 lines later, a character asks if they understands what is being said. This is sloppy narrative building. Even the formatting was weird, and rather inconsistent. Sometimes there would be line breaks between different characters dialogue (active speech), and at other times there wouldn’t. I found myself concentrating harder than necessary to ensure that I was clear on who was speak. This was such a boring story, only made more difficult to consume when coupled with the issues I’ve mentioned above. There was nothing scary or intriguing about this, at all. You would have a more terrifying time listening to preteens telling the same ghost stories from your childhood while roasting marshmallows around a camp fire. This story feels like a high school writing assignment, where the author has never had to dip their toe into creative writing before and has no idea how to approach fiction. I definitely don’t recommend that anyone reads this, unless you want to use it as a guide for what not to do when writing horror/suspense stories. All this and I haven’t even bothered to mention the stupidity of the name “Pteromantyl” and just how terrible that Amazon blurb is.